Special Qualities: Small yellow flowers in spring. 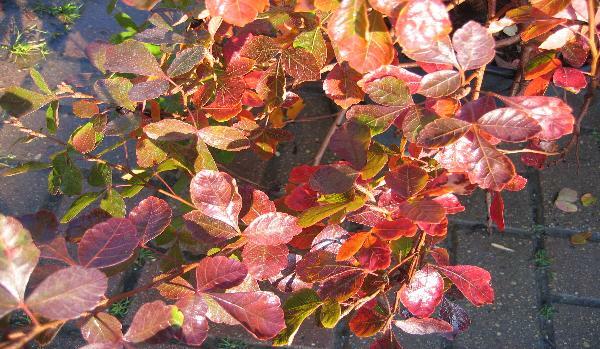 The summer foliage is shiny and dark green and turns orange, red and burgundy in fall. Watering Instructions: After planting, water 5 gallons of water every other day for two weeks. Then, once per week for the rest of the season. The following pictures, information, and service marks are of Bernardin’s Landscaping Inc. and may be used only with permission of Bernardin’s Landscaping Inc..